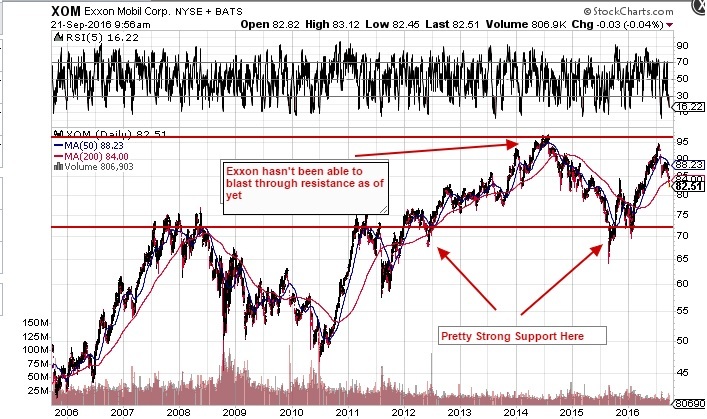 Exxon Mobil (NYSE:XOM) has suffered as of late due to allegations of cooking the books with regard to its climate change research and its assets. However with crude oil rallying strongly in the wake of the inaction on the Fed’s part, Exxon has finally followed suit and is back up above $83 a share. This stock is a perfect choice for income investors in this space who want a position in energy in their portfolio as the stock is stable and its downside is protected better than most due to its strong balance sheet and integrated business model. This entry was posted in Uncategorized and tagged xom. Bookmark the permalink.